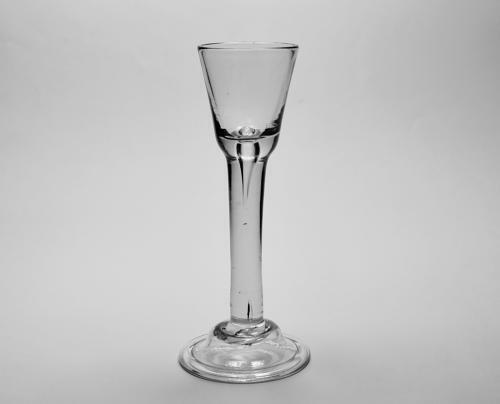 Plain stem cordial glass with round funnel bowl, air tear and domed and folded foot. Irish C1740/50. Condition: Very good with no chips, cracks or restoration. Note: A nice clean example.